International trade of wildlife on the Internet is highly unregulated and has become a threat for species survival. Threatened cacti are available on websites and shipped across countries without any legal documents to certify their trade is not a menace to population viability in the wild. Is this ignorance or unwillingness to comply with regulations? Study published in the open access journal Nature Conservation reports on the activity and discusses assessment methods and solutions. In present days, trade of species is possible without any real human interaction, and distance is no longer an obstacle. Although conventional trade routes are maintained through shipping of goods, the widespread use and the unregulated nature of the Internet make e-commerce a great concern to the Convention on International Trade in Endangered Species of Wild Fauna and Flora (CITES). This convention regulates international trade through issuing and control of permits, which aim to guarantee that the trade of individuals is not a threat to the survival of a species in the wild. Due to the magnitude of the international trade, the entire cacti family is under CITES. 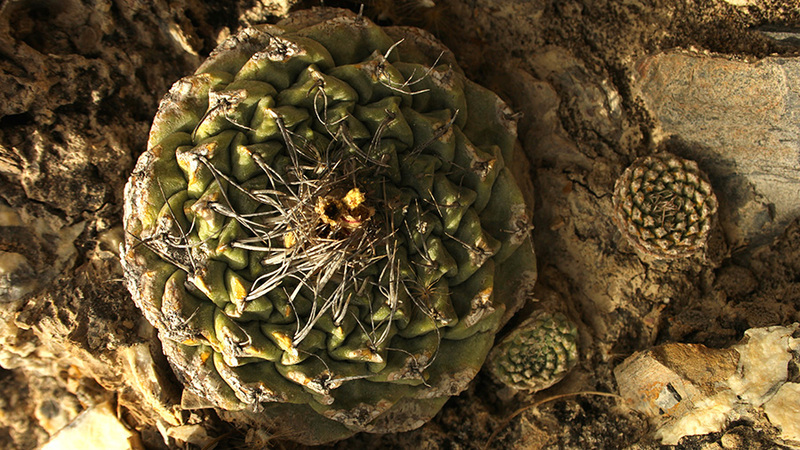 In their study, scientists Vania Olmos-Lau and Dr María C. Mandujano, both affiliated with the Universidad Nacional Autónoma de México (UNAM), México, present a quick and easy method to assess the online availability of a highly collectible Mexican threatened cactus, commonly known as disc cactus. The method can be readily used to assess other species. Because of its threatened status, no commercial trade of wild specimens is allowed and a collection permit is needed for harvest of seeds and individuals. Plants and seeds were found available in major online markets like eBay and Amazon, and were also offered via online stores based in the USA, France, Germany, Australia, the Czech Republic, the UK, and others. Researchers point out that the Asian market was underestimated due to language constraints. Only a minority of these online stores openly stated that they would provide CITES documentation, or that plants were obtained from nurseries that grew cacti themselves. Results also indicate that the country home to this species, Mexico, plays no important role in the legal international trade of the species. For major online stores like eBay, Mercado Libre and Amazon, the researchers propose a policy based on filtering the publications which contain the name of CITES species. For example, there could be downloadable forms for the sellers to sign and prove that they assume responsibility for the legal origin of the product. Also, a pop up window could let buyers know what a CITES species is and what its acquisition involves. After all, most times the lack of compliance with regulations for wildlife trade is a matter of ignorance rather than disobedience. “We need to open our eyes to the demand for wildlife and how it can be satisfied through fair trade schemes that benefit local landowners,” point out the researchers.